same identical sun: Ivor, the end. 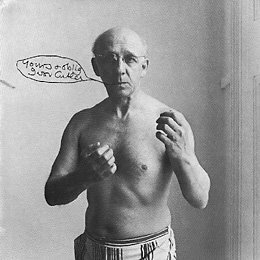 So Ivor Cutler is dead and no-one in my office has a clue who he is. I talked for a while with someone about it before I realised that we were at cross purposes and he was talking about Peter Osgood. Surprising how long that went on for: 'Did you ever see him?' - 'No.' and so on. It wasn't until I said I used to have a tape of 'Gruts' that I got the blank look. Ah well. I saw him once on platform 5 at London Bridge. He was lost, and rather brusque with the platform staff. And he was covered in badges. I imagine he'll be well into a three-way harmonium jam with Ginsberg and Nico by now, tootle, wheeze, etc. Same in my place. Blank. I keep meaning to learn to drive. I reckon I could do it pretty quickly. Silliman's blog: poetry, mostly US. Ubuweb: all kinds of everything. Stan's Cafe: theatre and that. Pennsound: US poets read - stream 'em! Burning Idiot Noise. Brighton's best. Neil Palmer: the things he has done.